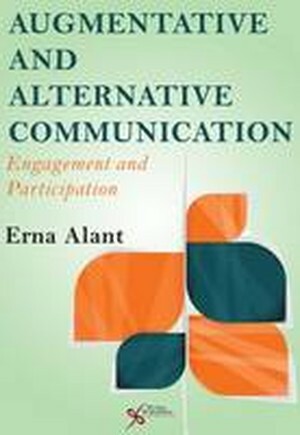 "Augmentative and Alternative Communication: Engagement and Participation" re-examines the basic components of human communication based on the development of meaning between two people, and provides a new theoretical framework for integrating the use of Augmentative and Alternative Communication (AAC) strategies into interpersonal interactions. As such, it is an indispensible resource for speech-language pathologists, special education practitioners, and researchers in AAC, as well as for instructors and graduate students in the fields of speech and hearing sciences and special education.The book employs a creative synthesis between engagement (personal involvement) and participation (exchanges between people) to describe meaning-making between communication partners to develop social closeness between people. This process allows for the acknowledgement of different levels of shared meaning and outlines a novel approach to assessment and intervention. The book also describes the importance of integrating relational (interaction-oriented) as well as instrumental (goal-oriented) communication functions as essential in maintaining on-going relationships.Most resources in AAC tend to emphasize strategies for enhancing participation, rather than strategies associated with the development of engagement ("being with") to enhance communication between communication partners. In contrast, this text uses interactions between AAC users and their communication partners as a basis to explore the creative synthesis between engagement and participation to provide clinical guidelines for assessment and intervention both in interpersonal and classroom contexts.Key features include: a novel theoretical approach focused on engagement and participation as core components in AAC intervention; emphasis on empathic listening skills of both communication partner and user of AAC strategies to facilitate engagement (emotional resonance) between them; guidance for teachers on the benefits of a meaning-based approach to communication in the classroom; application of empathic listening strategies to people with dementia to address an increasing need for care of Alzheimer's' patients by caregivers and family members; integration of social media and face-to-face interactions as central to developing relationships in AAC interactions.